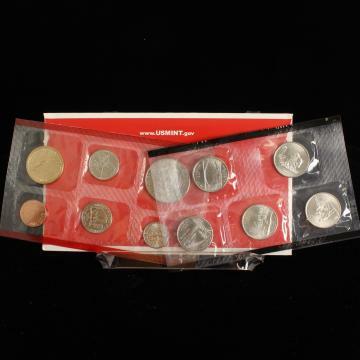 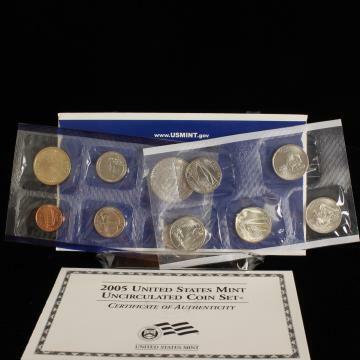 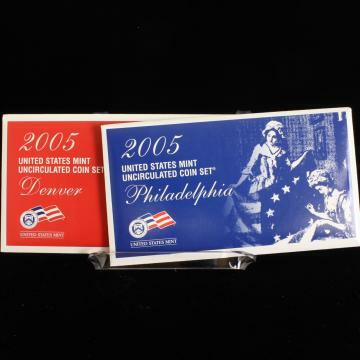 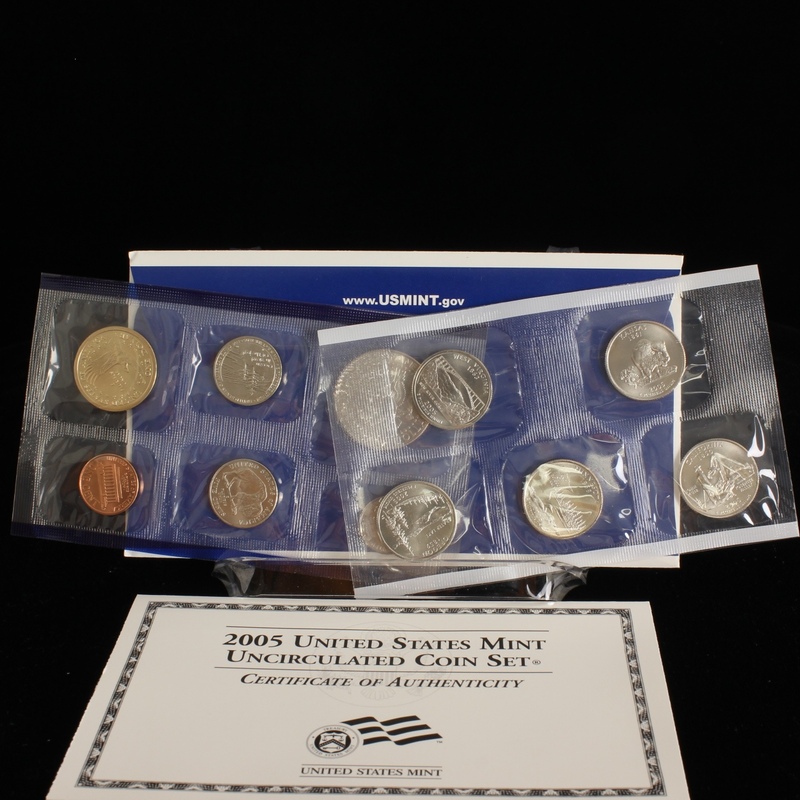 Description: 2005 U.S. Mint Uncirculated Set - 11 Denver + 11 Philadelphia coins. 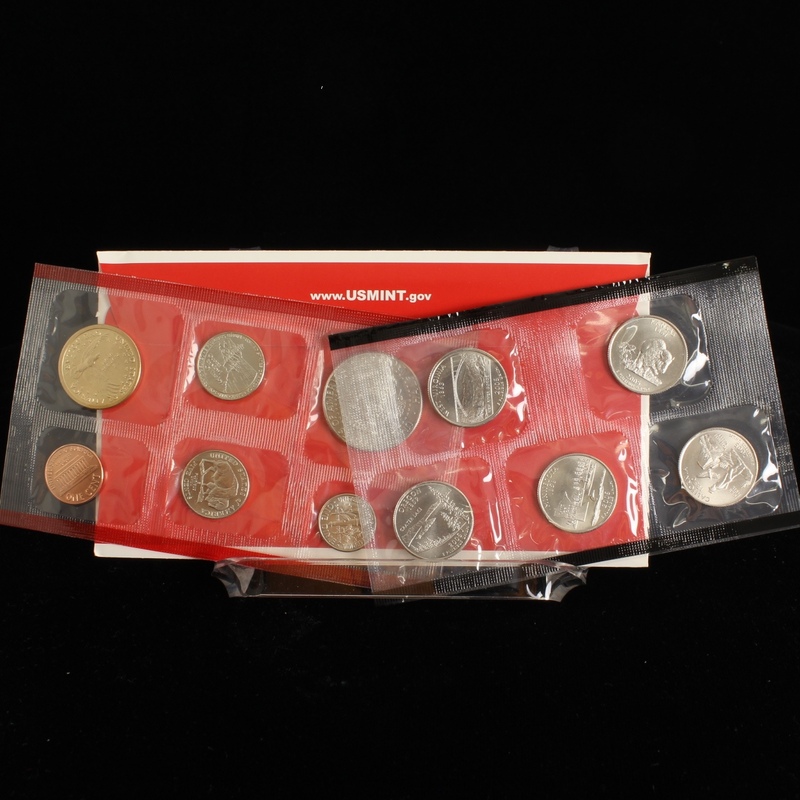 Each set includes the five 50 State Quarters and the two Jefferson Nickels. 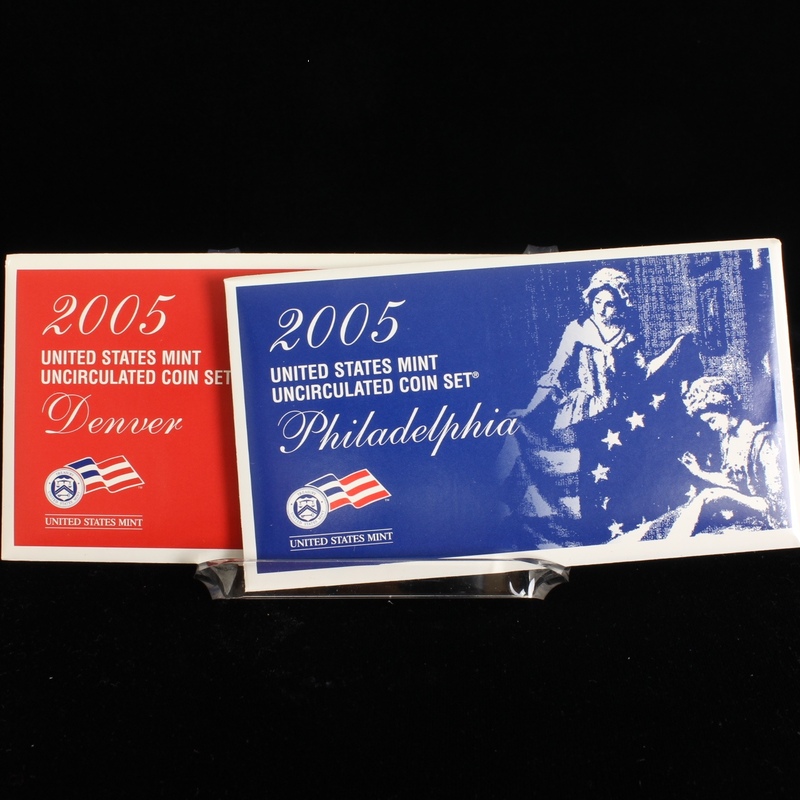 Condition: Brand New, Uncirculated, Un-opened Mint Box.